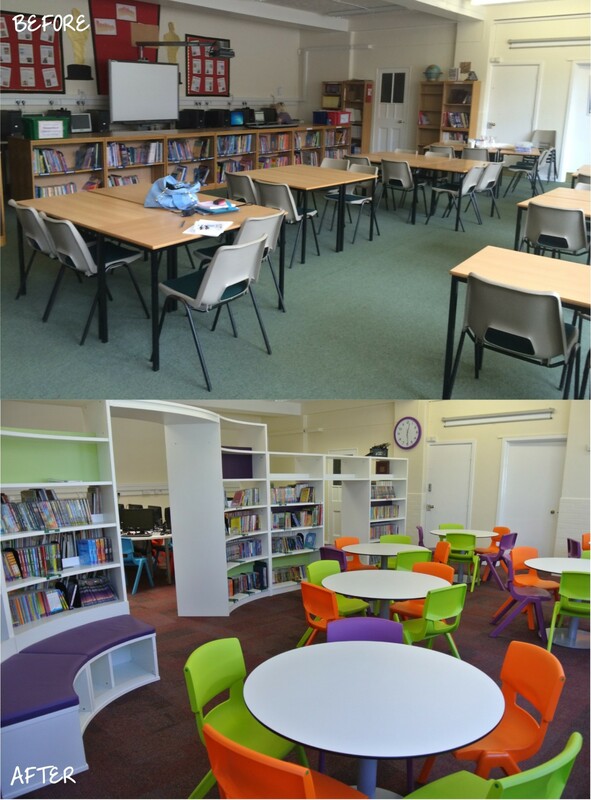 zioxi were delighted to work with Denbigh Primary School to refresh their LRC and Infant Library. 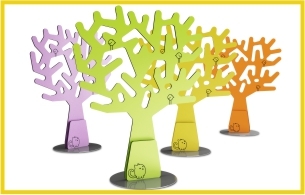 Both spaces were quite dark and uninspiring spaces to begin with and the brief was to create learning areas that were fun and exciting which the children would want to use. 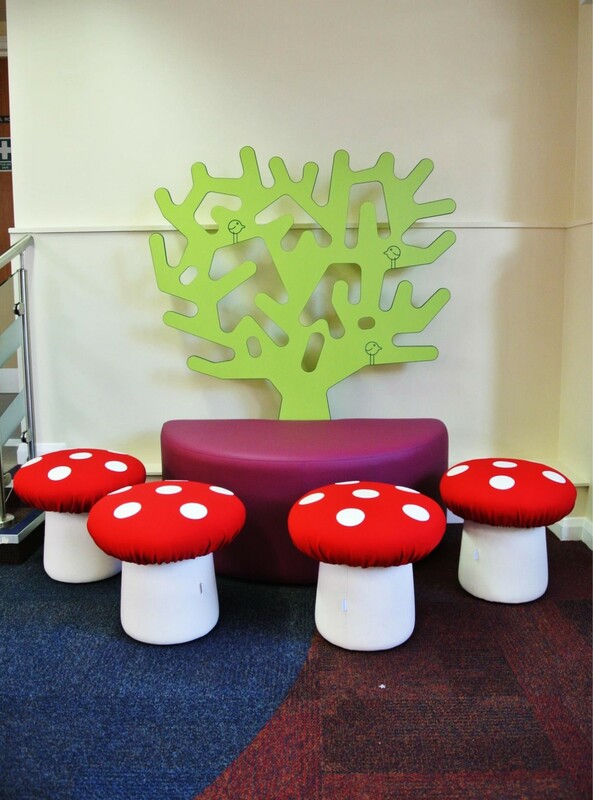 zioxi worked closely with Denbigh Primary to develop a furniture proposal which met all of the School’s needs. 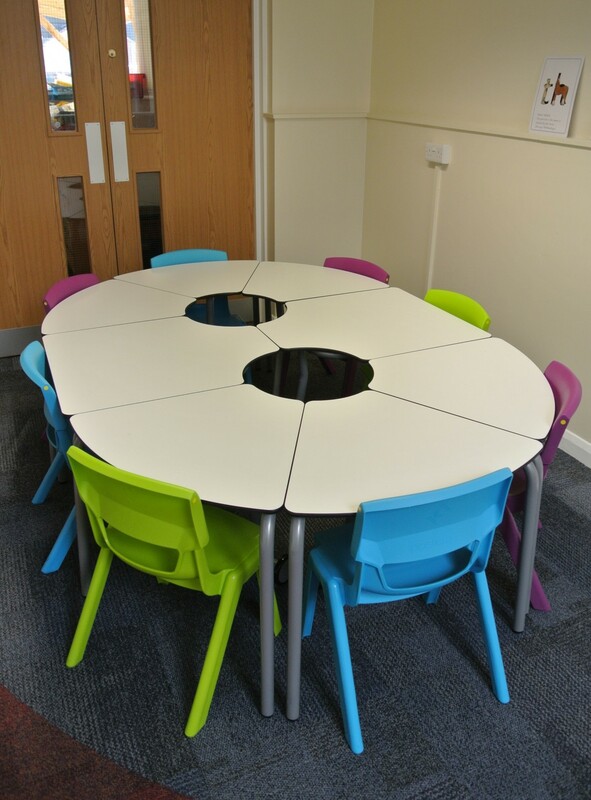 The LRC space which has recently been renamed as ‘The Hive’ has a large curvy Bookworm shelving unit dividing the space in two, with an area of circular tables for group working and researching on one side and an area for ICT working on the other. 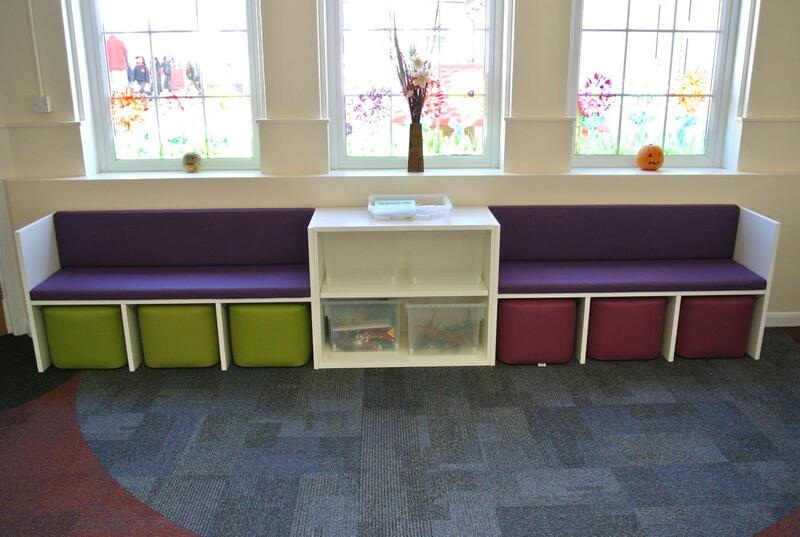 Soft upholstered seats and a Reading Nook were included within the space to create quieter areas where the children would be encouraged to curl up and read a book. 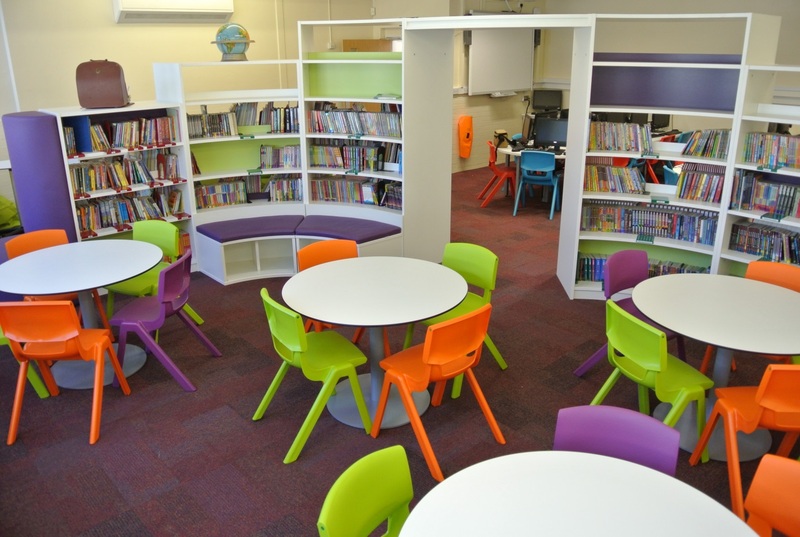 The overall effect was a bright, vibrant learning space with plenty of storage space for all the books and resources. The Infant Library was a tricky area to plan as within the space there were lots of entrances and exits leading in all directions (hence it’s new name ‘The Burrow’). 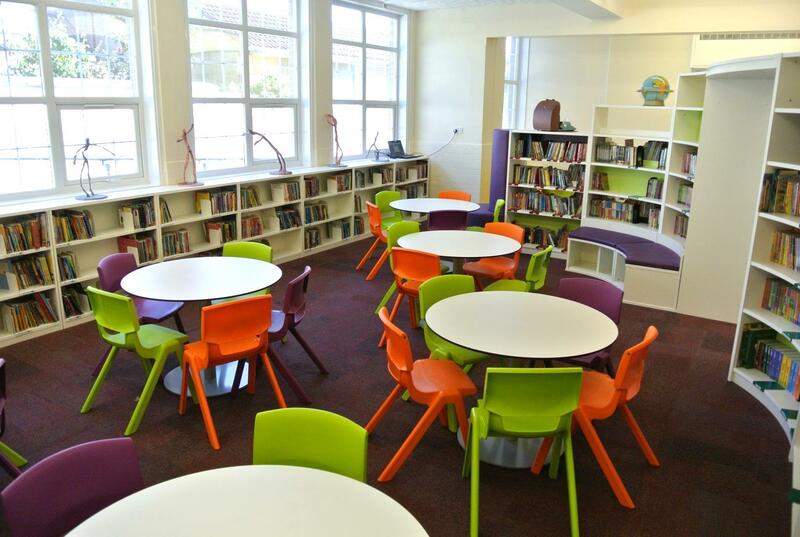 zioxi used lots of flexible furniture like s41 45° soft seating and t41 desks to allow the space to be reconfigured or cleared for activities such as class storytelling or 1-to-1 reading. 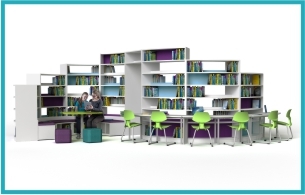 Low level curved bookshelves created quiet areas ideal for small group working with a Teacher. 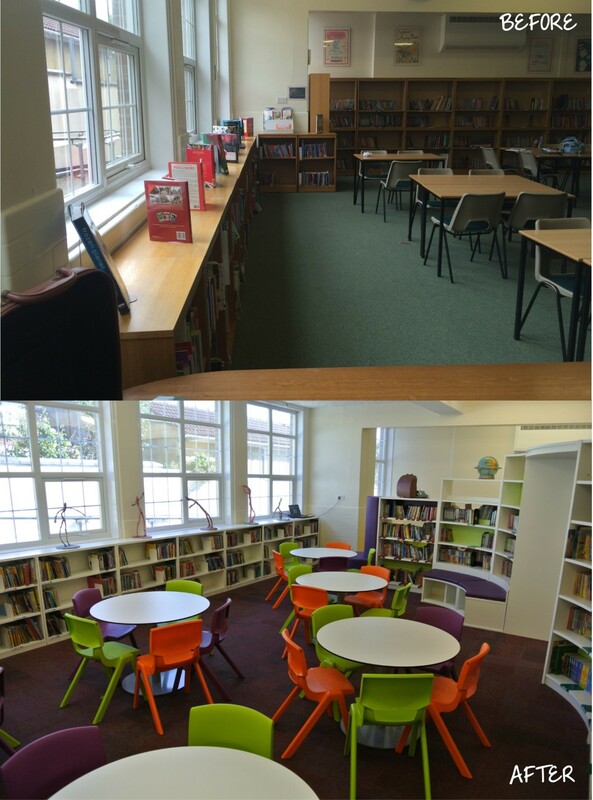 Colours from the main school LRC space were introduced into the Infant Library to allow continuity between the different spaces.